Since the 70’s, the United States has seen a shift in being the leading society of producers, to a society of doers and thinkers. While America has gravitated towards technology and research over manufacturing, China has stepped in to be the major producers and exporters of goods. According to the Made In America movement, “the average American will spend about $700 on gifts this year. If only half this amount were spent on gifts Made in USA, up to a million American jobs would be created!” (http://www.themadeinamericamovement.com/) The reality is, because of our great country’s fair wages, quality standards, and safe workplaces, these products are not always the most economical. Add to this the fact that the FTC defines “Made in America” as only a product whose final assembly or processing takes place in the US, and the waters can get quite muddy. If you have talked to anyone who has an opinion on this debate, you know it can be as heated a topic as politics or religion. As a manufacturer of quality flags of every kind, we try to provide the market what they want: choice of high quality premium American flags, as well as more cost-effective imported designs. Every flag we offer on our website clearly indicates “Country of Origin.” On the Specification Tab in the product information, you can easily see where the flag is made so you can be sure you are getting exactly what you want. 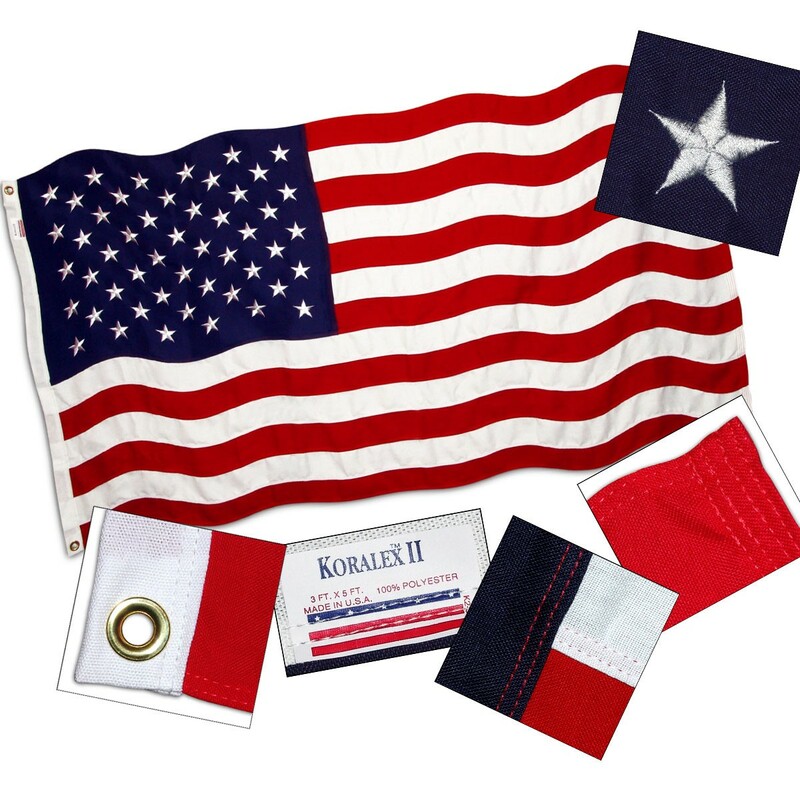 Additionally, if you prefer your flag be made right here in the United States, we have an entire pull-down menu dedicated to US Made American Flags for your shopping convenience. If you are ever in doubt or need help, you can call our friendly customer service specialists at 1-877-734-2458. Here at the United States Flag Store, when we say it we mean it.